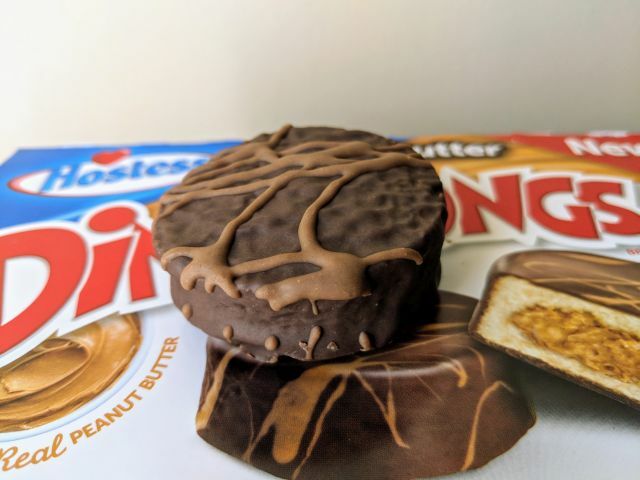 Hostess' Peanut Butter Ding Dongs consist of a puck of peanut butter cake with peanut butter creme filling covered in chocolaty fudge. A 14.82-oz box cost me $2.49 on sale. The layer of chocolaty fudge on the outside was typical of the rest of the Hostess line, which is to say it was mostly sweet, somewhat chocolaty, and a little waxy. The drizzle of light brown frosting on the fudge didn't seem to add any extra peanut buttery flavor. The creme filling is the same as you'd find inside of the Chocolate Peanut Butter Twinkies. There was more of it here and it delivered some peanut notes but didn't quite achieve that roasted profile that you find in most decent peanut butters. Moreover, the chocolate flavor comes on at the beginning while the peanut butter comes on at the end but they never meet in between. The cake was spongy and very mild in terms of peanut flavor. 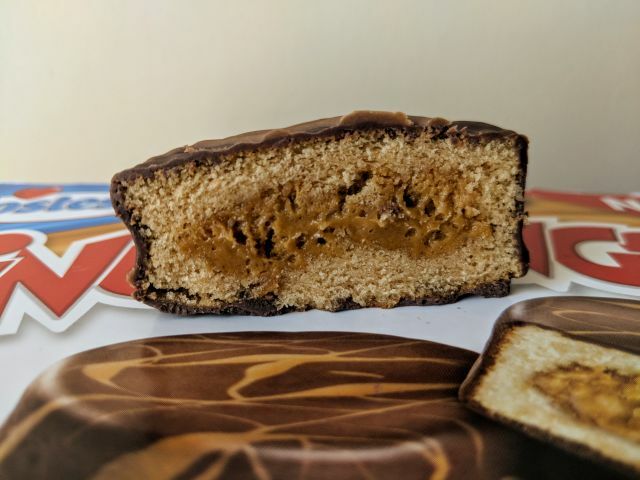 It mostly gets lost between the chocolaty coating and the peanut butter creme. 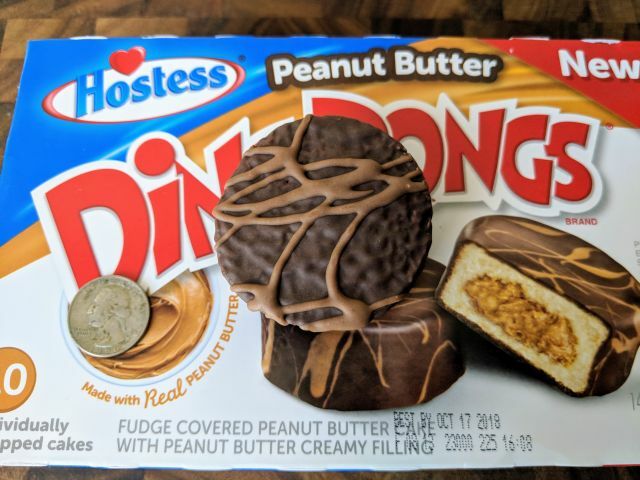 Overall, Hostess' Peanut Butter Ding Dongs were nice enough but the chocolate and peanut butter combination never got to where I hoped it would be going. I prefer the single flavor Ding Dongs as they come off a bit bolder.